The inviting warm tones may resemble hardwood, yet ThermoWood® is made from Scandinavian softwood. The chemical-free heat treatment used to create ThermoWood® also provides a natural weather resistance in addition to being environmentally friendly. THERMOWOOD® DECKING IS A RICH GOLDEN COLOUR SIMILAR TO THAT OF HARDWOOD WHICH IF LEFT UNTREATED WILL FADE TO A SILVERY GREY ONCE EXPOSED TO THE ELEMENTS. 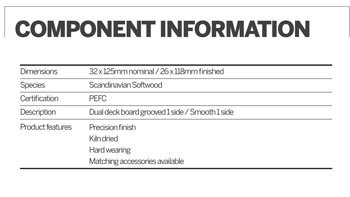 THERMOWOOD® DECKING IS HEAT TREATED TO CLASS THERMO-D AT TEMPERATURES OF 212°c MAKING IT SUITABLE FOR EXTERNAL USE. 1. USING HEAT AND STEAM THE TEMPERATURE IN THE KILN IS RAISED TO 100°:c. THEREAFTER THE TEMPERATURE IS RAISED TO 130°c ALLOWING THE DRYING PROCESS TO TAKE PLACE AND THE MOISTURE CONTENT DECREASES TO ALMOST ZERO. 2. ONCE ThE DRYING HAS TAKEN PLACE THE KILN TEMPERATURE IS RAISED TO 212°c AND THIS CONSTANT TEMPERATURE REMAINS FOR 2-3 HOURS DEPENDING ON THE END USE APPLICATION. 3. FINALLY THE TEMPERATURE IS LOWERED WITH WATER SPRAY SYTEMS. WHEN 80-90°c IS REACHED RE-MOISTURISING TAKES PLACE ALLOWING THE WOOD MOISTURE CONTENT TO RISE TO A USEABLE LEVEL OF 4-7%. 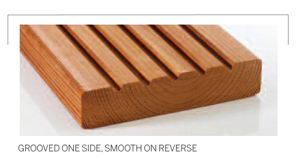 GENERAL MAINTENANCE INCLUDING REGULAR CLEANING WITH A MILD DETERGENT WILL EXTEND THE LIFE OF THERMOWOOD® DECKING. 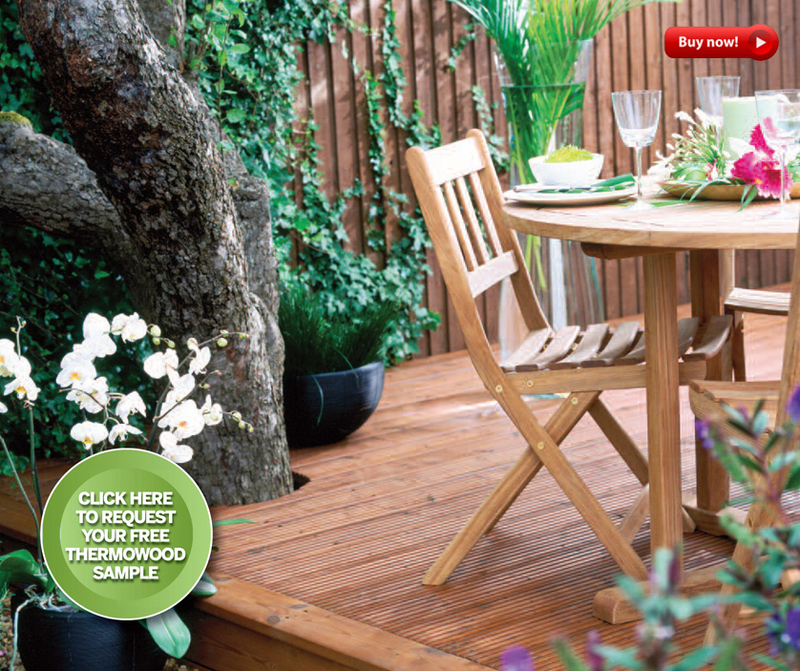 TO MAINTAIN THE RICH COLOUR, TREAT THE THERMOWOOD® ANNUALLY WITh A DECK OIL OR STANDARD PRESERVATIVE DECK TREATMENT. ACCORDING TO EN13501 (SBI TEST) THERMOWOOD® IS IN A REACTION TO FIRE CLASS D. IT IS POSSIBLE TO TREAT FURTHER WITH FIRE PROTECTIVE TREATMENTS IN ORDER TO ACHIEVE FIRE CLASS RATING 1 SPREAD OF FLAME. 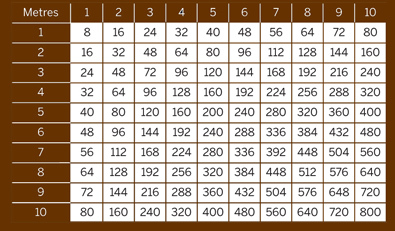 THE PRODUCT HAS A MOISTURE CONTENT OF 5-7% (50%RH) WHEN PACKED IN PRODUCTION. THIS LEVEL WILL CHANGE ACCORDING TO ATMOSPHERIC CONDITIONS.